Edward Kienholz (1927-1994) was born in Washington State and spent his youth on his family’s farm. His early skills in carpentry, metalwork, and auto repair would later shape his unique artistic vision. After spending seven years on the road, Kienholz moved to Los Angeles in 1952 and three years later opened his first gallery at the Coronet Theater in an effort to foster Los Angeles’s artistic community. 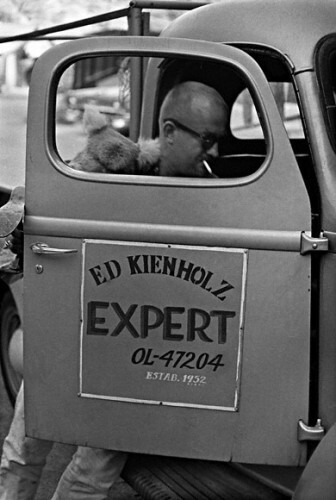 In 1957 Kienholz and Walter Hopps started the now-famous Ferus Gallery and, in 1960, Kienholz had his first solo exhibition there. 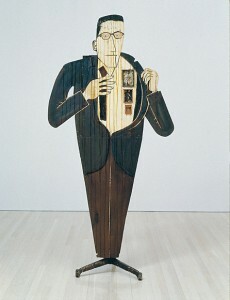 Throughout the 1960s and 1970s he produced large-scale tableaux from assembled and constructed objects that sharply criticized the politics of the period. 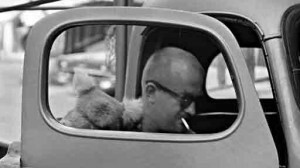 View a period film on the Internet Archive: Kienholz on Exhibit is a short film about Edward Kienholz directed by June Steel in 1969. Video: Attend the opening of Edward Kienholz’s 1961 exhibition at the Ferus Gallery. 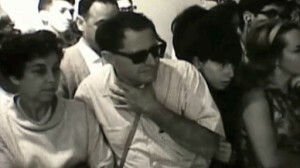 Excerpt from the television program Story of an Artist, 1962, directed by William Kronick. Licensed by Warner Bros. Entertainment, Inc. 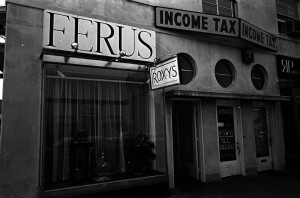 Exterior view of the Ferus Gallery during the exhibition of Edward Kienholz's installation Roxy's, 1962. Photo by William Claxton. Courtesy Demont Photo Management, LLC. 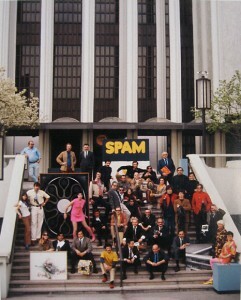 Several Los Angeles artists at Culture Day at LACMA (L.A. County Museum of Art), 1968. Photo by and © Julian Wasser.